Home > Social Media > How to stop auto play of videos in Facebook? 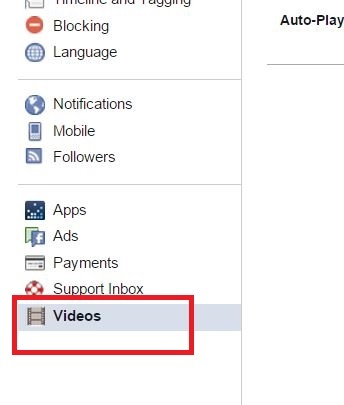 How to stop auto play of videos in Facebook? Recently Facebook has started a new feature of video auto play which seems to me quite annoying. Whenever you login to Facebook, the videos start playing automatically without your consent. Sometimes random videos, which contain graphics and explicit content start playing, which is not desirable at all! Even though the audio is turned off but the auto play of every single video on your news feed is baffling and disappointing. But there is a way to get rid of it. 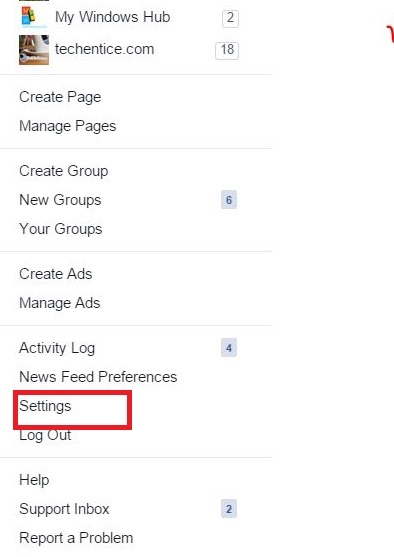 Out of the huge pool of Settings that Facebook has provided, there is a small setting which enabkes you to turn off or on the Auto play feature for videos. The following steps will show you how. 1. First of all click on the down arrow beside your profile name at the top right corner and go to Settings. 2. Now in the left panel, click on Videos. 3. In the right pane, select Auto Play option dropdown list and turn it Off.